← Coming up this Saturday April 11 in Montréal, Canada! Yes we know it’s been a long while since the last post, but we’ve done a few more mixes on our soundcloud pages for both Canicule Tropicale and La Mano Peluda. So here is volume 2 of our new Dancing Calypsos series! (Click here for Volume 1 on Soundcloud). 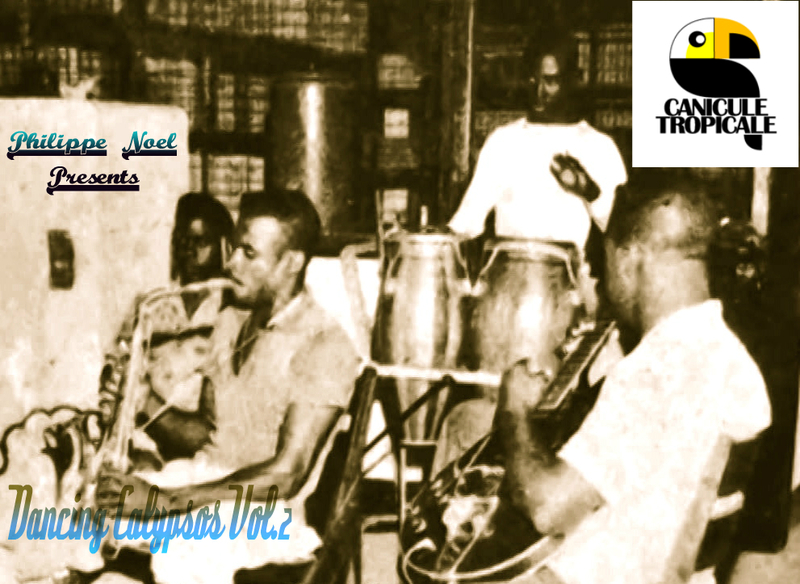 Similar to volume one, this is a selection of mostly instrumental calypsos from Trinidad recorded at the end on 1950s early 1960s and released on the then labels from that era, COOK, TELCO, JOEVAN, KAY, GUARDIAN and EN CEE. All on 45RPM except for the 1st track that comes from an LP. Sorry for the sound quality, as most of these records are so incredibly scarce and impossible to find in better condition, I still think they remain absolutely enjoyable to the ear, and must admit the rareness and old age of these recordings compensate enough for their condition in which they are. CLICK HERE to hear this new mix! A real fine selection, Mr Noël. I’m very curious about the first track. Could you tell me the title, the artist’s name or which record it comes from? Just something! Track is called Jour Ouvert! Aha, CAO I presume. Thanks again.